This week’s Work In Progress! 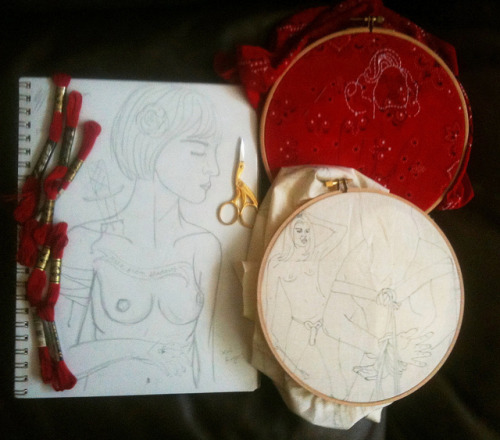 Pin up embroidery and drawings, some in preparation for Half Naked Thursday. Not pictured: like, 20 episodes in a row of the Vampire Diaries, which is a fabulous train-wreck of camp and vampires and awkward and snark, oh my goodness, the snark and the awkward. The awkward! This entry was posted in Transfer, work-in-progress and tagged naughty embroidery, scarlet tentacle, work in progress wednesday. Bookmark the permalink.